Water has this amazing ability to bond to itself. Put a drop of water on very dry earth and it will often simply make a bead and sit there. Unless the earth is really porous and absorbent, it may take several minutes for the water to soak in. Once the surface of the dirt is wet, the following drops of water absorb immediately. I notice this when I’m watering plants. Pour the water too quickly and it makes a stream, a miniature river, which gouges out a hole and then a tiny ravine. The water runs away, not doing the job you intended. Once the ravine is cut, there will be trouble every time you try to water the plant. For four months I’ve been teaching a little first-grade boy to read. I’ve observed that his sharp mind is a bit like dry earth. Sometimes I feed him information and it seems to simply sit there. If I’m patient and observant, I will see it eventually “soak in.” If I am not paying careful attention and pour on more information before the first is absorbed, it runs away and begins to cut a ravine, an undesirable habit that is difficult to overcome. Instead of looking at letters and sentence structure, he starts to guess at words and rely too heavily on the pictures. 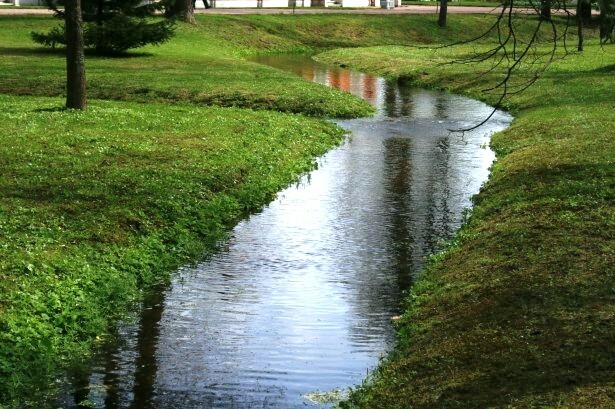 A stream cuts through a field, one drop at a time. I am not this child’s mother; I’m not even his school teacher. As a volunteer, I interact with him about one hour a week. So I can blame any developed learning ravines on other people in his life. Still, I want to have a positive influence and do all I can to help him learn how to learn. That idea is frustrating and a little alarming. It’s not that I mind wasting time teaching a child who isn’t learning. It’s that I don’t want to be guilty of creating ravines for information to escape, hindering his ability to learn in the future. My own first grade teacher had a tremendous impact on my ability to learn. She put in me a desire to do well in school and a confidence that I was capable. She was strict and scary but generous with accolades and encouragement. On the other hand, I’ve heard from others about how their teachers laughed or scolded and created in them a stream of disillusionment about learning. They became convinced that they could not learn and lost the desire to try. Heads up to all teachers, parents, tutors and volunteers working with kids! Water those thirsty minds with care; don’t be a ravine maker! This entry was posted in Short Takes on Life and tagged absorbing information, bad learning habits, childhood development, reading programs, teaching kids how to learn, tutoring children. Bookmark the permalink.